There are prams for trail running, prams that attach to bikes, prams that hold multiple babies. But for city dwellers and their pint-sized fashion plates, a chic urban runabout pram like the Urbo2 by Mamas & Papas is the only pram you need. The Urbo2 is a gorgeous little piece of minimalist design. It comes in the standard colours Dark Navy and Chestnut. The former Limited Edition was Twilight Gold and its latest incarnation is ombre black and white with a sleek pewter frame. The definition of chic on four wheels, this pram would look right at home in a street style photo at New York Fashion Week. Who said babies aren’t fashionable? The profile of the Urbo2 is elegant and sleek. Its metallic pewter hardware shines against the ombre fabric of its sun cover and seat. The wheels are modern with spokes that look like they’ve been laser cut. The frame is angular and minimalist, and never gets in the way of the storage basket. Mamas & Papas knows that a pram’s beauty is nothing without its brain and brawn. The Urbo2 is a clever, compact character made for city terrain: the frame is narrow, the handles adjustable, and the whole kit has a compact fold so it’s easy to store in your apartment’s only closet. The steering handles like a dream and all four wheels have suspension, which means your baby’s ride is smooth as you navigate crowded city streets. Although the Urbo2 is a light 10.3kg, it can carry up to 15kg of child. The frame is car seat compatible and there’s a matching carrycot attachment. If you prefer, the regular seat reclines fully, which makes the Urbo2 perfect for little riders from newborn until they’re ready to navigate the footpath on their own two feet. The seat is versatile and practical. If you like to have a heart-to-heart with your baby on the morning coffee run, choose the parent-facing configuration. If your baby wants to see the world around him, flip the seat around for an outward view. The concealed sleep shade makes long naps longer, and for parents that means long lunch of course! 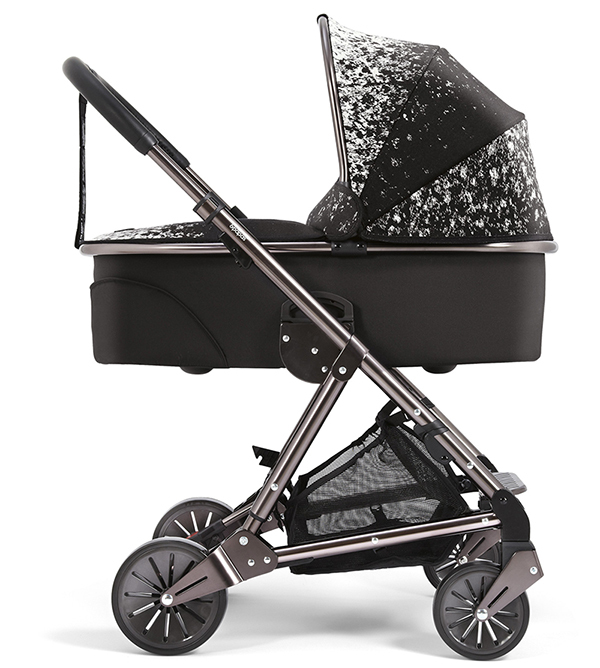 The Urbo2 Limited Edition – Ombre Pewter is exclusively available at Baby Kingdom and Bubs n Grubs. The Ombre Pewter stroller retails for $1199.95 and the separate carrycot for $399.95.